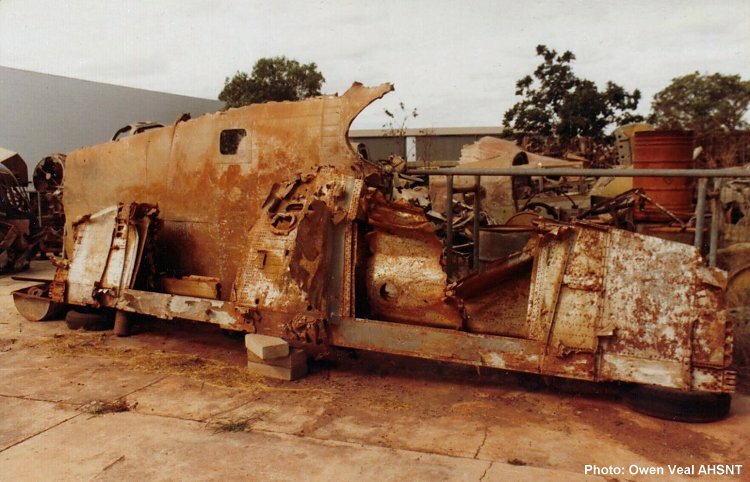 Believed to be the mortal remains of A55-3 which were recovered from Gorrie airstrip, a salvage depot just north of Larrimah. The photo was taken in the late eighties and depicts the underside of the rear centre wing section. The aircraft remains behind it are from B-24J A72-39.